We’ve shared about some of our earliest clients and we hope you loved the history. Now, let’s talk about what we’ve worked on in 2018! We can’t tell you everything…because we don’t share our client’s secrets…and so much of strategy has to stay on the down low. But, here’s a snapshot of some of our 2018 projects that we can tell you about! We began working with Advanced Women’s Healthcare (AWH) earlier this year and it has been really fun. We’ve done a variety of projects for them, all in the name of sharing their greatness as an all female team of accomplished OB/GYN physicians. 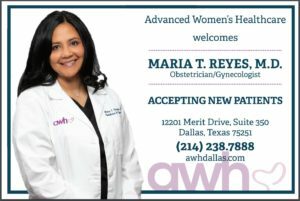 Our projects have included designing their Advanced Women’s Center for Wellness (AWCW) logo and introduction ads welcoming Dr. Reyes, writing blog posts, creating content for AWH Facebook, AWCW Facebook, and Instagram, developing their staff and physician bios, promoting BioTE Medical – Hormone Replacement Therapy, and collaborating with the folks at Patient Engagement Solutions on their Medical City Patient Guide. 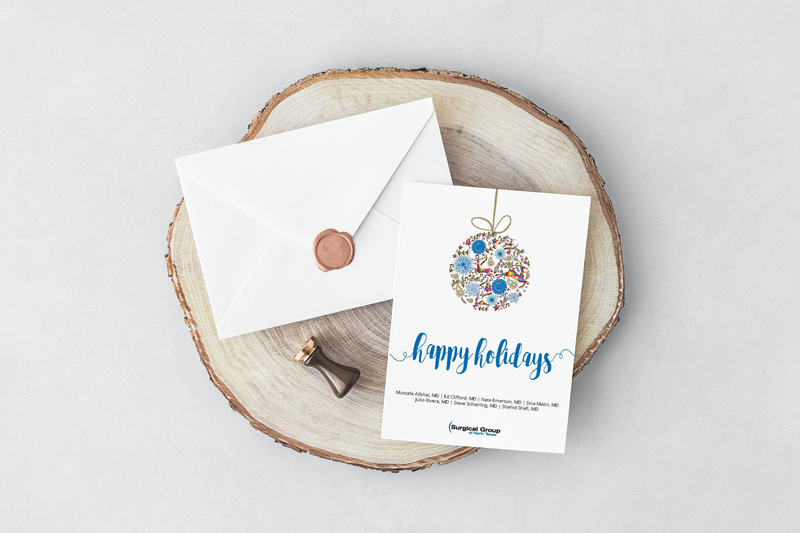 Playing well with others has been a continuing theme in 2018 as we’ve enjoyed working with Expio on the AWH website and collaborating with print publications like N2 Publishing to share the AWH message. Dr. Beltran relocated to DFW from the East coast and we’ve enjoyed introducing her to primary care physicians in the area. Through these introductions, we’ve been able to share her impressive expertise in obstetrics and gynecology with her colleagues and the community. 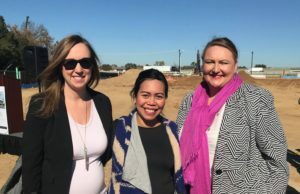 Learning more about our clients through our projects is one of our favorite fringe benefits, and Dr. Beltran has been a pleasure to work with and get to know. We’ve known Dr. Carmichael for years, and it’s always fun to catch up and assist with whatever she needs. She is always thinking of new ways to reach out to the community to educate patients and share more about her OB/GYN practice. A perfect example is the upcoming Women’s Health Panel where she is a speaker. We also revamped her bio and launched a Facebook page for her practice. We collaborated on promoting articles for print publications and her practice website, too. Updating all of her online profiles has been a big, but worthy undertaking to ensure patients can find her when they do an online search. And, Myesha Johnson, a Women’s Health Nurse Practitioner from Dr. Carmichael’s team, has partnered with us on community outreach activities as well. 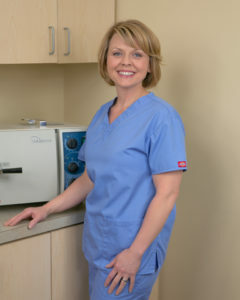 One of our earliest clients, Dr. Overbeck always has a special place at The Brummitt Group. Most of our projects with him have moved to autopilot, which we consider a success! In 2018, we made small website updates and worked on print advertising for Dr. Overbeck’s vein clinics in Granbury and Stephenville. We designed ads and placed them with several publications including Brownwood Bulletin, Seniorific, Clifton Record, The Commanche Chief, Dublin Citizen, Glen Rose Reporter, Granbury Now, Hood County News, Hico Review, Meridian Tribune, and Stephenville Empire Tribune. 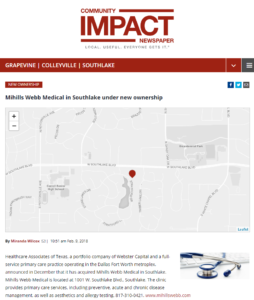 And, in the last month we have also helped transition most of this over to the wonderful folks at Baylor Scott & White as Dr. Overbeck’s group became part of Health Texas Provider Network. 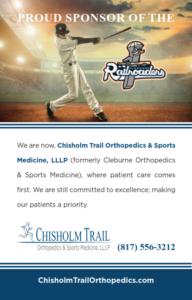 Chisholm Trail Orthopedics & Sports Medicine came to us through their involvement in building a strategic plan for another client. We are very proud that every single Brummitt Group client found us via word of mouth! We partnered with Chisholm Trail on a complete re-branding campaign helping them roll out their new name, creating a logo and identity package, updating their forms, and offering full spectrum marketing recommendations. We launched their Facebook page, created lots of custom graphics announcing the name change, and successfully handed off to their talented staff in June. Our hand-off included training and an Editorial Calendar through year end. And, we facilitated a press release that got picked up by Becker’s Spine Review! They are very involved in the community and we just love this! They had lots of wonderful ideas that we helped put into action by designing a beautiful banner and procuring promotional items with their logo. We also collaborated with the Cleburne Railroaders and Keene FC on the marketing side of team sponsorship. 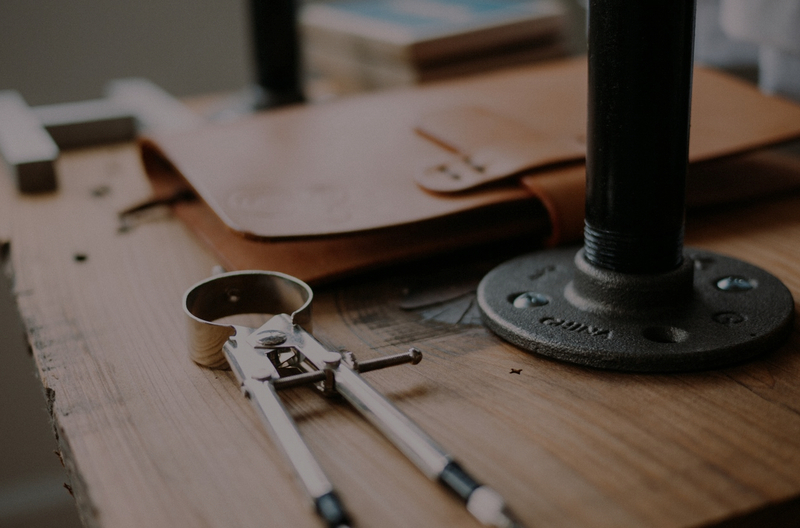 Because they have a very capable in-house team, we are currently setting them up through a partner on a portal for re-orders and small edits of letterhead, business cards, forms, prescription pads, and promotion items. Any time we can make a process more efficient by removing ourselves, we are all for it. We love saving our clients time and money! 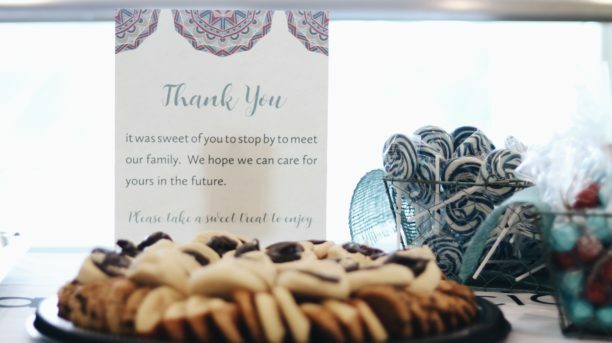 We have enjoyed working with our very first client, Healthcare Associates of Texas, and their various offices, especially as their practice has grown over the years. Working with the Coppell office of Healthcare Associates covered the gamut of designing and copy writing for ads in the local newspaper, organizing community outreach opportunities for Dr. Jason Conn when he joined the practice, collaborating with Dr. Conn and the Coppell Chamber of Commerce, procuring materials for health fairs, photographing the Coppell Health and Wellness Expo, creating posts for the Healthcare Associates Coppell Facebook page, and beta testing a patient review monitoring service. For the Irving office of Healthcare Associates of Texas, we beta tested a patient review monitoring service as well wrote and/or distributed press releases to the local media for several physicians who joined their ever-expanding practice including Mihills Web Medical, Dr. Wei Sam Gao, and Dr. Kavitha Moolamalla. 2018 brought a lot of growth to the McKinney office! With that, came marketing to let patients know what providers and services the practice offers. Behind the scenes projects included updating online profiles for Dr. George-Zieser so her previous patients could find her easily, developing a video with NCM for movie theater advertising, creating Facebook content through September, design and placement of Community Impact ads, and design and placement of Living Magazine ads. These providers have a heart for community service and education. We helped facilitate Physician Assistant Lauren Dethlefs in a Women’s Health Talk through McKinney Chamber of Commerce‘s Women’s Alliance of McKinney, scheduled and facilitated a Healthy Weight Loss talk with Dr. Taylor and McKinney Sunrise Rotary, arranged and set up for the McKinney Chamber After-Hours Healthy You event, and set up a Cancer Prevention talk for Dr. Lawrence with McKinney Sunrise Rotary. 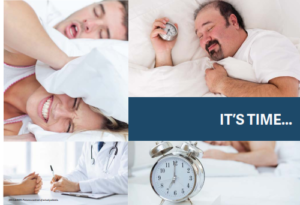 Design, direct mail, and print advertising focused on Sleep Apnea all took place in 2018 for Smart New You, the aesthetic side of Healthcare Associates. 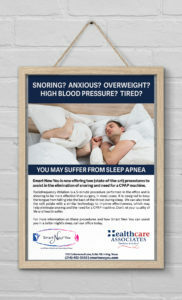 We created and facilitated mailing of a Sleep Apnea piece, designed a Sleep Apnea treatment options brochure, and designed ads for Living Well Magazine and Living Magazine. Dr. Kuriachan is a former client that launched a new private practice in 2018. 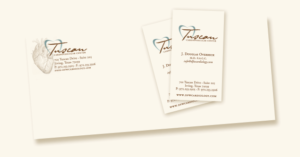 We were excited to get to work with Dr. Kuriachan again to market his Ophthalmology practice. We assisted Dr. Kuriachan with pulling some market data to help organize his marketing efforts. 2018 has entailed a name change, adding physicians, and building a second office for Precision Orthopedics & Sports Medicine. It’s been a ton of fun crafting a strategic marketing plan and helping Precision roll it out this year. We started with developing the plan, creating a new logo and identity package, new rack cards, and press releases announcing the name change and the addition of Dr. Hendawi to the group that was picked up by Becker’s Spine Review. We’ve also designed an insert for Rambler Newspapers, a group brochure, and promoted the fact that all the doctors in the group won Southlake Style’s Top Docs. We’re currently working on updating the group’s online profiles for both offices and just pushed out a press release announcing their new Spine Surgeon, Dr. Gengler. 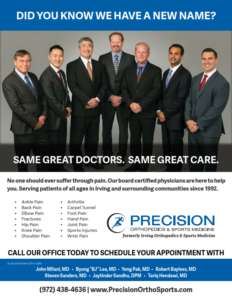 The doctors at Precision Orthopedics & Sports Medicine are quite social…and we are managing five social media accounts for them! It’s been fun crafting content for the different platforms and they even trusted us to do our first-ever Spanish page. Stop in to socialize on any one of their five platforms: Twitter, Insta, English Facebook, Spanish Facebook, and a professional Facebook for one of their individual surgeons. As our third client, we’ve been serving Surgical Group of North Texas for nearly ten years and worked on too many projects to count. 2018 has been no exception with outreach, design, and patient satisfaction. 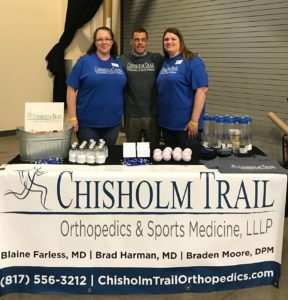 Outreach activities have included facilitating participation in the Coppell Chamber Wellness Expo, as well as procuring and organizing supplies for fast set-up at health fairs. 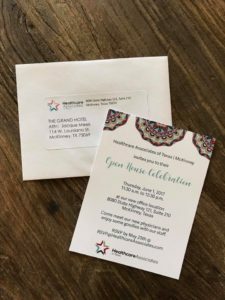 We’ve also helped promote some of their accolades this year such as winning Living Magazine Best Of Docs, Southlake Style Top Docs, Fort Worth Business Press Mentor Award, and the roll-out of Obalon Balloon System for weight loss. We work closely with Sarosh Lateef and her team at HomeKey Studios on all of these things. 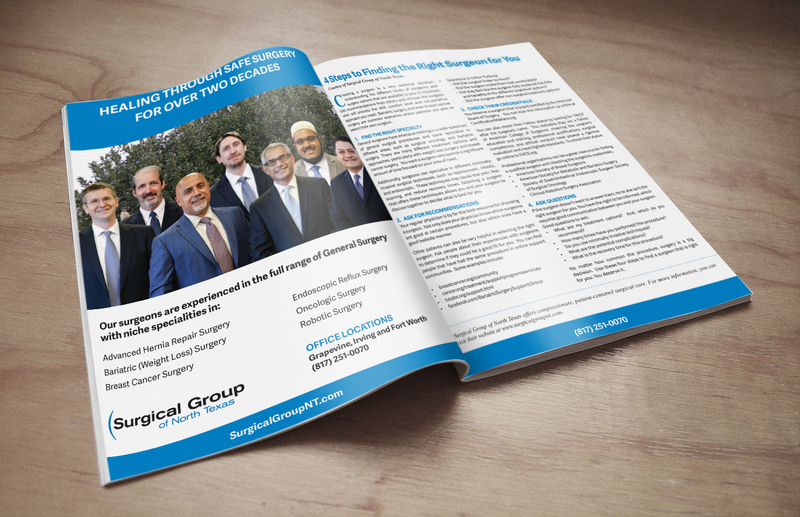 They do a great job with Surgical Group’s website and social, so it’s a very fluid process with sharing of information and simply making sure Surgical Group gets taken care of…regardless of who does it. Design and advertising have been a fun part of 2018. We created two of our favorite designs to date, their bariatrics brochure and 2017 Year in Review. We also designed and oversaw the framing of a Mission Vision Values wall-hanging, inspired by a find from Dr. Shafi. We created niche specialty packets (with a lot of help from the doctors) to give patients specific pre and post-op information. We worked with Texas Monthly on two Super Doctor profiles (that can’t be announced until the December issue comes out), a Southlake Style Top Doc profile, and Living Magazine on two Best of Doctor profiles. Patient satisfaction is extremely important to these devoted surgeons. They were tuned into this long before it was the “in” thing. 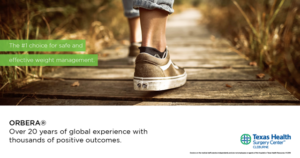 In 2018, we’ve worked on streamlining their internal patient feedback mechanism to make it less manual and more automated, but also easier for patients. We had the pleasure of building a full strategic marketing plan for Texas Health Surgery Center Cleburne back in 2017. Promoting their great surgeons and highlighting their overwhelmingly positive patient reviews were at the top of the list of to-dos. In 2018, we assisted with the roll-out of that plan by writing provider bios, updating their Yelp profile, claiming and updating their Google profile. We also got their Facebook page verified, updated, and managed the content from February to June. 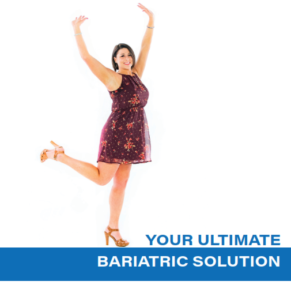 We had a lot of fun creating custom graphics for Orbera weight loss balloons and patient testimonials. Their patients love them and their physicians…and that makes it an easy story to tell! This center had just gone through a corporate website refresh. The website looked great and just needed minor updates to staff and forms. We aren’t website geniuses, but we can definitely do basic updates in user-friendly platforms like WordPress. So, we took care of many minor updates to the site keeping it current. This is a unique center that offers some total joint replacements and we got to create website copy for that! Their story is the ultimate in collaboration. On branding, we worked with Surgical Care Affiliates and Texas Health Resources to ensure we stayed within the brand guidelines and enhanced the overall brand with our creations. Dept 11 facilitated the website refresh and was an absolute pleasure to work with on website updates and edits. Based on the web-heavy needs for the center and what we considered to be opportunities for economies of scale, we eventually recommended and assisted the center in selecting a single vendor to manage website, SEO, PPC, social media, and reputation management. That perfect person is Daryl Johnson and his team at Frontier Marketing. They’ve done a great job and we still help as needed, but are thrilled that our collaboration ultimately gave our client a better product at a better price. Longest blog post ever, right? We just get so exciting talking about our awesome clients! But, we had to stop somewhere or this would be the never-ending blog post. Since starting on this post two weeks ago (our clients come first; we come second), we’ve started up a new social media project with LifeStream Health Center & MedSpa and have a few more in the works! We feel incredibly blessed that so many wonderful physicians and an ambulatory surgery center have entrusted us with their marketing needs in 2018. It’s been a great year and we look forward to another amazing ten years! In Fall of 2010, The Brummitt Group had just celebrated our second birthday and was plugging along with three employees. We were working on projects for many clients, including the first three that we’ve talked about in previous posts. Doug: My anesthesia practice is looking for a CEO/COO with strong recruiting and business development skills. I know you are doing your own thing, but I think you’d be great if you are interested. Amanda: I’m flattered you thought of me, but I love what I’m doing. I’m working in my pajamas right now. Why would I ever give that up? Doug: They are really good docs and I think you’d like them. Will you just do me a favor and meet with them? If you end up not being interested, then maybe you can help them find someone. Amanda: Sure, I can do that. Amanda met with Norm Rice, MD and Stephen Ellis, MD of Metro Anesthesia a few weeks later. She was impressed with the doctors and felt like it could be a great project, but wasn’t willing to give up The Brummitt Group. She pitched to them a consulting gig. They countered with going through the interview process and then only considering a consulting gig if she didn’t want to work directly for the group after that. Clever guys! She interviewed with their Management Committee and it was a great fit. She’s still not sure how she got talked into it, but Amanda accepted a full-time position as their Chief Operating Officer! They did agree to allow her to continue with The Brummitt Group. It was a wonderful experience that stretched her skills, taught her a ton about hospital-based practices, and deepened her knowledge of anesthesia, revenue cycle management, and operations. She got to work on a public education campaign with other large anesthesia groups about why you might want a Physician Anesthesiologist for your care, DoctorByYourSide.org. 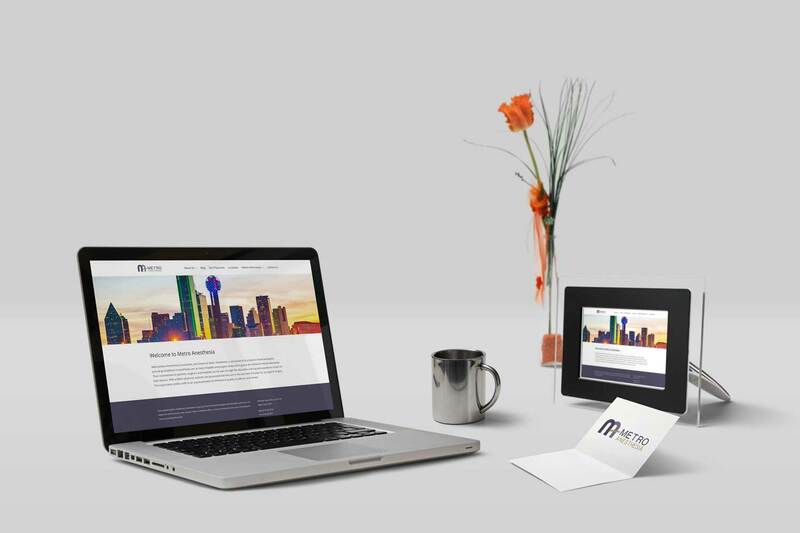 She helped Metro produce their first press releases and improve their marketing materials. She worked with the group to formalize many of their operating practices, negotiate hospital and payor contracts, improve their Requests for Proposal, and managed the day-to-day operations of the practice with the help of a great internal team, many who grew in their positions! A little over a year into it, Amanda was loving Metro, but felt like she wasn’t giving enough of herself to The Brummitt Group. It’s hard to do two jobs well, and it took losing a key employee at The Brummitt Group for her to see this. With much sadness, Amanda resigned her position at Metro, or at least attempted to. Apparently, the relationship had come full circle. Richard Haldeman, MD countered with a consulting gig! Amanda gladly accepted the offer to continue her operational/strategic responsibilities, and The Brummitt Group enthusiastically assumed many ongoing and as-needed responsibilities at Metro including launching a Facebook page, graphic design, printing, press releases, and website updating/design. The Brummitt Group team worked closely with the Metro Marketing Committee, led at the time by Jenni Germany, MD and Jamie Sunny, MD. Dr. Germany, Dr. Sunny, Dalia, and Amanda freshened up Metro’s logo and created a new identity package, launched a new website, created their first Facebook page, and first Twitter profile. There were also many event invitations, holiday cards, brochures, and sign creations. We had a blast working with the Metro team on everything from quality initiatives to patient satisfaction to branding and even revenue cycle management with the awesome folks from abeo! And, they are some of our very favorite anesthesiologists! You only want the best putting you to sleep…and we trust Metro Anesthesia. 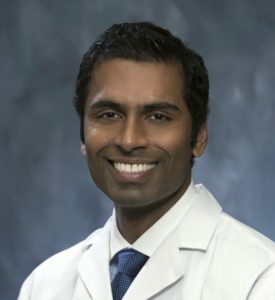 In February of 2009, we got a call from Dr. Ed Clifford of Irving-Coppell Surgical Associates that they were adding a new physician (Dr. Shahid Shafi, who is now their CEO), opening a new office, in the process of becoming Surgical Group of North Texas, and needed help marketing all of it. Amanda had the pleasure of working with Dr. Clifford and his partners (Dr. Sina Matin and Dr. Julio Rivera) when at Medical City Las Colinas, so she knew they were great physicians that would be a good fit for The Brummitt Group. We kicked off with a strategic plan and marketing campaign focused around the new office, new physician, and new brand. Since that time, we’ve organized Open Houses, facilitated outreach campaigns, done photo shoots, assisted with operational and strategic decisions, developed press releases, and created countless print and web advertisements. These projects have been accomplished with help from the surgeons and staff, as well as many other vendors. We like to brag that we “play well with others,” and Surgical Group of North Texas is a fantastic example of that. Level 2, Frontier Marketing, Expio, HomeKey Studios, McEwen & Associates, Schwenn & Associates, AlphaGraphics, Ultimate Bariatrics, and The Press Group are just a few of the folks that we’ve worked beside for Surgical Group of North Texas. In fact, we are very aware of what we do really well and what others do better so we never hesitate to work with others who can balance our strengths with theirs. Over the years, we’ve seen the group grow to seven surgeons, add additional service lines and niche specialties, build their own building, hire Dr. Shahid Shafi as their Chief Executive Officer, and continue to set the bar for surgical services in North Texas. They provide excellent patient care at eight locations and counting across the DFW metroplex. And our own team, family and friends can vouch for their amazing care. Surgical Group of North Texas remains a client today, and we are thrilled to have witnessed their exciting growth. We just love working with them. Dr. J. Douglas Overbeck was our second client, and we’ve had a blast working with him for the last 10 years! Around the same time that The Brummitt Group was forming, Dr. Overbeck was joining Medical & Surgical Clinic of Irving. He had the concept of Tuscan Cardiovascular Center – a beautiful office (decorated by his talented wife) and one of the best Cardiologists with a solid reputation for over 20 years (himself). He just needed someone to help tell his story. We used his beautiful office as inspiration for a color palette and teamed up with Sage Island for design services to build a logo, identity, and brand. 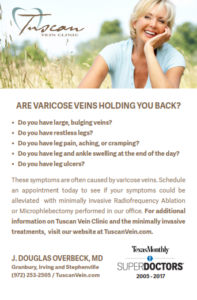 Since then, we’ve worked with Dr. Overbeck on a myriad of projects from rolling out endovascular laser therapy and radiofrequency ablation for varicose veins to opening satellite offices in Stephenville and Granbury. We’ve helped set up screenings, created and managed advertising campaigns, built a website, streamlined forms, produced press releases, managed article publications, photo shoots, and scheduled speaking engagements. Through Dr. Overbeck, we also got to know the amazing team at Medical & Surgical Clinic of Irving (recently changed to Baylor Scott & White Medical & Surgical CIinic Irving) including Jeff Duke and Lynne Hollyfield. Jeff and Lynne really set the bar for practice administration! They run a lean, efficient, and patient-centered organization. 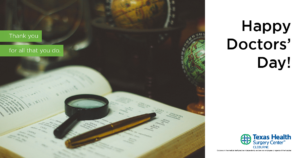 It’s been our pleasure to work on outreach projects in Ophthalmology, Neurology, Pain Management, Pediatrics, ObGyn, Nephrology, and Endocrinology with them, as well as press releases, advertising, brochures, and social media. Fun fact about our work with Dr. Overbeck: It’s created friend of a friend of a friend projects! Dr. Overbeck introduced us to Medical & Surgical Clinic of Irving who recommended us to Dr. Vipin Kuriachan (a fantastic Ophthalmologist) who then suggested us to Dr. Tina Ali Mohammad (the coolest Psychiatrist we have ever met)! We’d like to extend a huge THANK YOU to Dr. Overbeck for trusting us with his marketing needs…and being a conduit for us to do so many fun projects for so many great physicians. The Brummitt Group wouldn’t be here today if it weren’t for our amazing clients. We’ve been blessed to work with some of the best doctors around. Our first client…and current client is Dr. Charlie Powell, Founder and Executive Vice President of Clinical Operations for Healthcare Associates of Texas. Amanda first met Dr. Powell when he and his better half, Keila, were still in Florida. Amanda worked at Medical City Las Colinas and he was in the Navy. 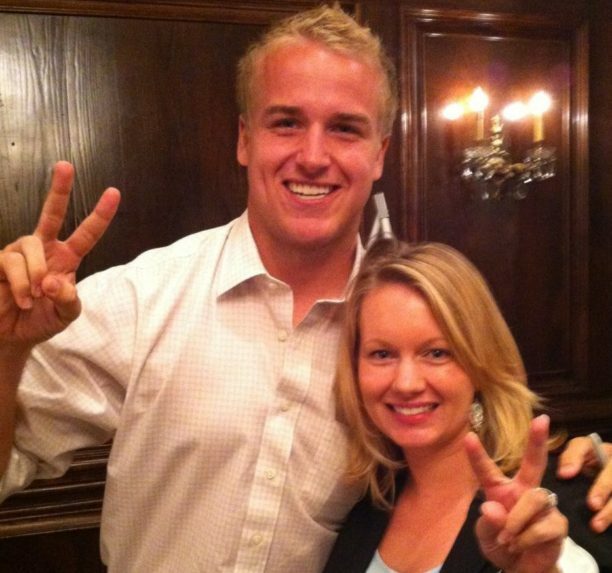 She recruited him to Texas and to Healthcare Associates of Texas. 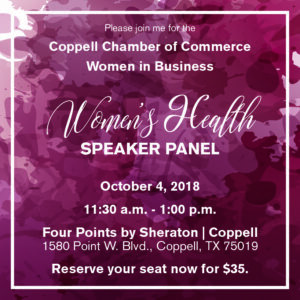 While growing his private practice in Irving, they worked together on a corporate wellness outreach campaign where Dr. Powell did health talks at many of the large corporations in Las Colinas. About the same time that The Brummitt Group was being created, Healthcare Associates was recruiting a new specialist to their practice. This was winter 2008. 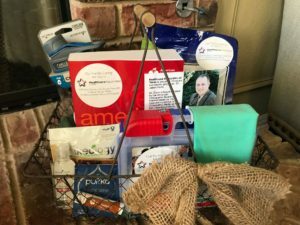 Dr. Powell hired The Brummitt Group to build a strategic marketing plan for this physician and introduce him to the local community. Since then, we’ve helped Dr. Powell and his team with everything from packaging design of MetaRevive, to secret shopping prospective acquisitions, to organizing open houses, to secret shopping and process improvement in their call center and pharmacy, to developing their website, to managing social media, to helping market all the cool procedures he develops. Yes, develops. He’s that guy! He’s developed hair restoration procedures, allergy shot protocols, and ways to reduce/eliminate snoring. He’s always looking for ways to improve the lives of his patients. We are incredibly thankful to Dr. Powell, Courtney, Keila, and all of the Healthcare Associates of Texas Family! It’s been fun seeing them evolve and growing with them. Thank you, Dr. Powell, for trusting us with that first project and every one along the way over the last 10 years! Hi there; it’s Amanda. As hard as it is to believe, The Brummitt Group celebrates it’s 10th anniversary this year! It started with just me and a plastic desk from Costco. Over ten years, The Brummitt Group family has grown and evolved. Join us for a series of posts about our team, our clients, and the projects that have shaped us. I bailed on my LSAT and narrowed it down to two in-classroom Executive MHA programs, University of Southern California and Cornell. USC won out. With a lot of my family in San Diego, I thought I’d get to see them since I’d be spending time in LA. I didn’t. During the 17 months that I cranked through a 34-month program, I didn’t have time to see them even once! USC was an amazing experience. Our faculty were incredible … many sitting CEOs of large organizations. And my classmates were pretty impressive, too! We had doctors, lawyers, health plan execs, hospital execs, lobbyists, and IT execs. It was like going to a conference every weekend when we had class. Oh, did I mention it was weekends in LA? Yep, I was very blessed to have an amazing boss, Dany Decell, that worked with me on my schedule. I was a full-time hospital executive, single mom, and traveled to LA every other Friday – Sunday for class. Yes, I might have been working during class…but it worked out just fine! About those classmates … I met one of my very best friends who was definitely a key to the Brummitt name. She set me straight when I was unclear whether or not I was ready to get married. I was. She knew it. But, I’m getting ahead of the story. We were both “commuter” students and instantly hit it off that first weekend of class. At some point, we had the conversation about how silly it was for both of us to be paying for hotels/cabs in downtown LA and started sharing a room, and effectively became roommates. She helped me with public policy and I helped her with finance. Oh, you may have heard of her. She’s sorta famous. 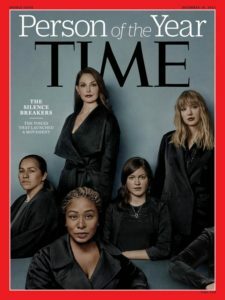 She was on the cover of Time Magazine for being a Silence Breaker and speaking up to eliminate discrimination, sexual harassment and assault within employment and academic settings. Yep, I knew Adama Iwu when we were grad school students just trying to get a paper written so we could live the LA high life on a pooled $20! Our cohort really was amazing. Just Google Henri Ford MD. Amazing surgeon and humanitarian. And we got to do group projects with him! His online profile doesn’t come close to how fantastic he is in person. Early Spring 2008, I was in the doctor’s lounge at Medical City Las Colinas and one of the physicians randomly suggested that I should start my own consulting company. It was either Ted Krum MD or Steve Hoffman MD. I don’t remember what sparked the conversation or which of these brilliant ObGyns said it, but I quickly dismissed it. (THANK YOU to whichever of you guys suggested this!). I had several of these odd moments where the idea came up, but I just wasn’t really interested in leaving hospital administration. A few weeks later and nearing completion of my program, I’m sitting in my Physician Practice Management class taught by Michael Harris and had an epiphany. Harris, who had been the CEO of Healthcare Partners, a large practice in Torrence, CA, told his personal story of walking away from this dream job to start a consulting company. All of his reasons spoke to me. I had never planned to walk away from the corporate life. I loved HCA. I loved being in hospital administration. And, all of a sudden, his personal story rocked my plan. (THANK YOU, Michael Harris!). I was also about to get married to the ever-amazing, Bret Brummitt. We had big plans … all of which included me being a hospital CEO with a large steady income, health insurance, and retirement. He was on board and supportive of trashing all those plans and taking the risks of me starting a company. Did I mention he was (and still is) self-employed? Yep, two self-employed people which was terrifying to me as I’m pretty risk averse. But, he had faith in me and pushed me to go for it. Hence, the name of the The Brummitt Group! Now, to clear up some misconceptions about The Brummitt Group. No, Bret doesn’t work here. No, Bret doesn’t own it. And, for goodness sake … No, Dalia, Lian, Lillie, and I don’t work for Bret. I just named the company after him … and someday plan to get around to legally changing my name to Brummitt. Thanks to Bret for believing in the vision!